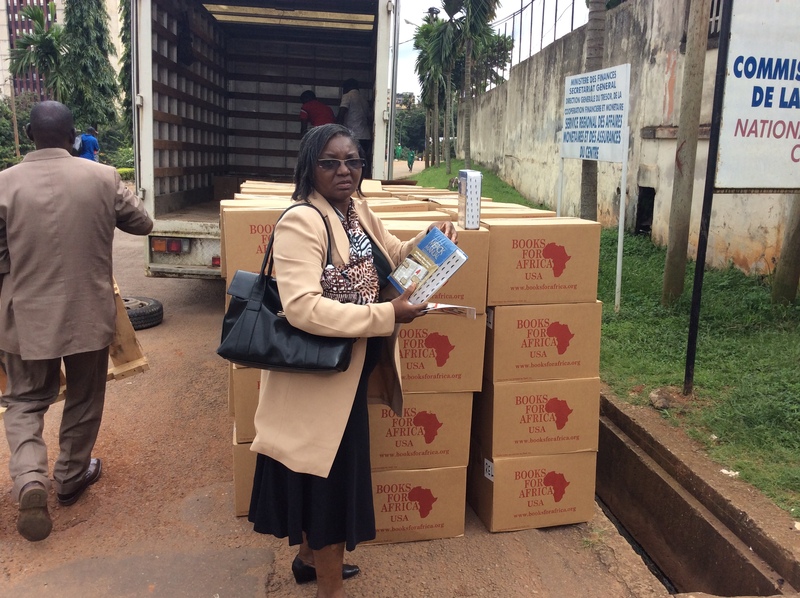 CamAid wants to per­son­al­ly thank “Books For Africa” for donat­ing 22,000 books (val­ue $280,000) to our orga­ni­za­tion. We are very grate­ful. We promised the Books For Africa orga­ni­za­tion who are based in the U.S. that we will dis­trib­ute their books to the Red Cross of Cameroon, Min­istry of Health, and the city coun­sel of Douala. We also want to show our grat­i­tude to “Mer­ck” Com­pa­ny who man­u­fac­tured the med­ical man­u­als. Mer­ck donat­ed the expens­es for 13 brand new addi­tion­al Mer­ck Med­ical Man­u­als. They also cov­ered for the car­go trans­porta­tion con­tain­er of the 22,000 books to dock at our Port Author­i­ty of Douala. We final­ly want to thank the Red Cross of Cameroon for mak­ing this pos­si­ble by pay­ing all the port fees and tar­iffs to help the con­tain­er leave the port to come into our pos­ses­sion with­out too much red tape process.